This article details some of the problems associated with trying to squeeze too much power out of a turbocharged engine and the common mistakes made by many people. Detonation is defined as a form of combustion which involves too rapid a rate of energy release which produces excessive pressues and temperatures in the combustion chambers. These high pressures and temperatures can damage or destroy engine parts in short order. Detonation is often accompanied by an audible rattling sound. Pre-ignition is defined as a normal combustion process starting before the ignition spark is initiated. This is usually caused by a local hot spot raising the mixture temperature above its auto ignition point. As combustion has started before it was intended to, peak cylinder pressure occurs too early in the cycle. This leads to excessive pressures and temperatures, often while the piston is still in an upwards motion with cylinder volume decreasing rather than increasing. 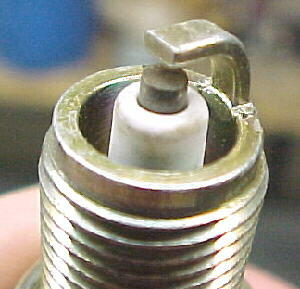 Pre-ignition effects can include piston and spark plug electrode damage. 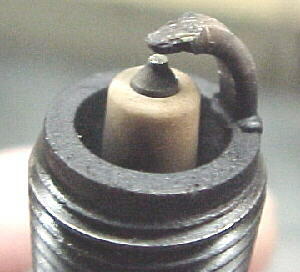 Pre-ignition is usually not audible and can often lead to detonation. 792,000 X BHP divided by (engine displacement in cubic inches X RPM). This figure is useful in comparing different engines operating on different fuels and the highest figure occurs at torque peak. The average range for atmo engines is 150 to 225 psi. Turbocharged race engines may exceed 1000 psi. Peak cylinder pressure (PCP)is the maximum chamber pressure achieved during the combustion process. This figure would normally be in the 600 to 2000 psi range. 2545 X BHP divided by (Btu/lb X lb. fuel/hr). On a given fuel, the maximum and mean cylinder pressures that can be achieved are limited to a certain figure. This is known as the knock limit. Trying to achieve cylinder pressures above the knock limit WILL destroy the engine. At wide open throttle, cylinder pressures can be altered by changing boost pressure and ignition timing. If the knock limit on a given fuel occurs at 700 psi PCP, this limit could be achieved by using 5 psi of boost with the timing set at 30 degrees BTDC or at 12 psi with the timing at 15 degrees BTDC. The engine will be considerably more efficient running less boost and more timing and the thermal stresses will be reduced as well. 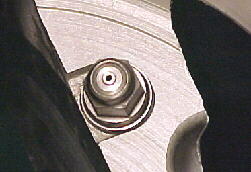 As mentioned above, TE is affected by CR and ignition timing. As the timing is retarded, PCP is developed later in the cycle. This allows more energy to be lost through conduction into the water jackets because the piston is further down the bore and the rod has a less advantageous angle on the crank pin to deliver force to the crankshaft. Retarded timing also raises the exhaust gas temperature considerably. This raises the thermal stress on the pistons, spark plugs, valves, exhaust system and turbocharger. In severe cases of retarded timing, the mixture is still burning when the exhaust valve opens. Because turbochargers are driven by the energy in the exhaust stream, high EGTs caused by retarded timing produce so much energy at the turbine that even a fully open wastegate cannot control the boost pressure. All in all, retarded timing is counterproductive to producing an efficient, durable, powerful engine. Most naturally aspirated engines require between 30 and 38 degress of ignition advance to achieve PCP at the correct crank pin position to make maximum power. By compressing the mixture through turbocharging, the rate of flame front progression increases and slightly less ignition advance is required to achieve PCP at the correct moment. In most cases, less than 5 degrees of retard is required however. We see many people throwing in 15 to 25 degrees of retard in a vain attempt to stop detonation at very high boost pressures for the fuel and compression ratios that they are running. It should be stressed that there are no free rides here. If you plan to achieve high specific outputs on low octane pump fuels for extended periods, you WILL have to reduce the CR. Truly high specific outputs are only available when using high octane fuels or by injecting anti-detonants. There are sound scientific reasons why there are no factory 10 to 1 CR turbocharged engines which produce specific outputs of 175 hp/L. In fact, there is NO production, piston, automotive engine which I am aware of which can achieve a specific output of this level on 92 octane pump fuel anywhere. Despite this fact, many people try to do this with expensive results. High compression ratios and high boost simply don’t mix on pump fuel. If you try this, you will either be unhappy with the results or blow up the engine. When I say production engine, I mean one that you can buy off the showroom floor, no modifications, with the factory warranty intact. HP to be tested on a proper engine dyno, not on a chassis dyno with phantom flywheel correction factors applied. If Toyota, Honda or Ford could do this with factory reliability, don’t you think that they would? As discussed in some of the reference articles above, set reasonable hp goals and modify the internal components as required to obtain these levels reliably. Be aware that many Japanese spec engines are designed to run on 98-102 octane fuel in their home markets. These engines will not be able to run the same boost levels on North American 92 octane fuel. Expect lots of detonation or spark retard if you attempt this. Reducing the compression ratio or using higher octane fuel are the two best ways to increase power on a turbocharged engine. If you drive on the street, you pretty well have to use pump fuel. In this case, you may want to fit some lower compression pistons. Pistons and spark plugs are often the first parts in the engine to suffer from the effects of overpressure and over temperature conditions. A high output engine should always be fitted with colder spark plugs- a point often overlooked by amateur engine builders. 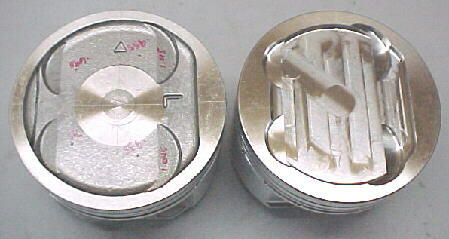 Forged pistons and turbo motors go together like jam and toast but there are wide variations between forged pistons. On a turbocharged application, temperatures and pressures will far exceed anything seen on a naturally aspirated engine. Because the specific output is higher, the rate of energy release is higher. Piston dome temperatures can run between 450 and 550 degrees F. Most aluminum alloys have lost over half of their strength at 400F. Turbo pistons need to have thick upper sections to be able to dissipate heat faster to the skirts and cylinder walls to keep dome temperatures down to safe limits. 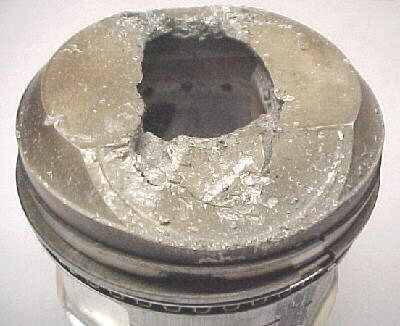 High silicon pistons can be fitted tighter because of their lower expansion rates for less rattling when cold but because they are more brittle, they don’t stand as much detonation as a low silicon piston. Compression ratios for street use should generally be kept in the 7.0 to 8.5 to 1 range. 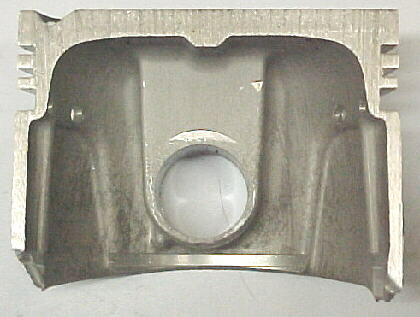 High silicon forged piston for use on naturally aspirated and low output turbocharging. Note relatively thin dome and corner radii. 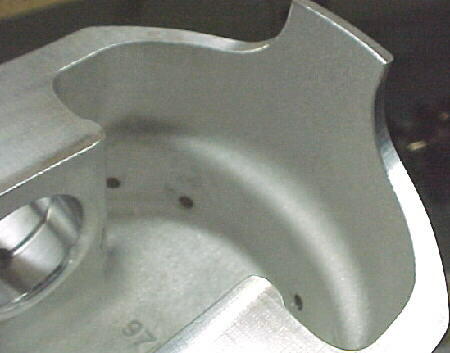 Most factory turbocharged engines are equipped with under- piston oil jets. These are an especially good idea on engines with large bores where the center of the piston dome is a long way away from the sides to be able to dissipate heat efficiently and extra thickness can add excessive weight to the reciprocating assembly. 10/3/02 At Racetech, we get phone calls and E-mails every day from people wanting to make absurd hp figures on pump fuel on engines and drivetrains which are essentially stock. We’re not trying to discourage you from your dreams, just trying to add a dose of reality. Assuming you get everything right and a 2L engine makes 400hp (unlikely), what drivetrain will transmit this power reliably to the ground, especially in a drag racing environment? The drag strips are littered with cars suffering from obliterated drivetrain parts being loaded onto flat beds at the end of race day. What is the point of this hp if something blows up every 5th pass? Build everything right to take your intended power. If you think your factory drivetrain will handle double or triple or quadruple the stock torque, you are in for an expensive surprise. 04/09/03 We talk to thousands of people every year with regards to EFI systems and modified engines. We get many people who just have to build a high compression turbocharged street engine. Even though we strongly suggest lowering the compression ratio, many people insist on 9 to 10 to 1 CRs. Usually these people phone back with sob stories of lots of pinging, blown head gaskets, melted plugs and pistons. We dispense free information based on 25 years of performance engine building experience to help people save money and disappointment. We frankly see very few high compression turbo engines running on pump fuel lasting more than a month before they fail. This is why you don’t see any high power factory turbo cars with 10 to 1 CRs. Stick to under 8.5 Crs and you will make more power and have higher reliability.